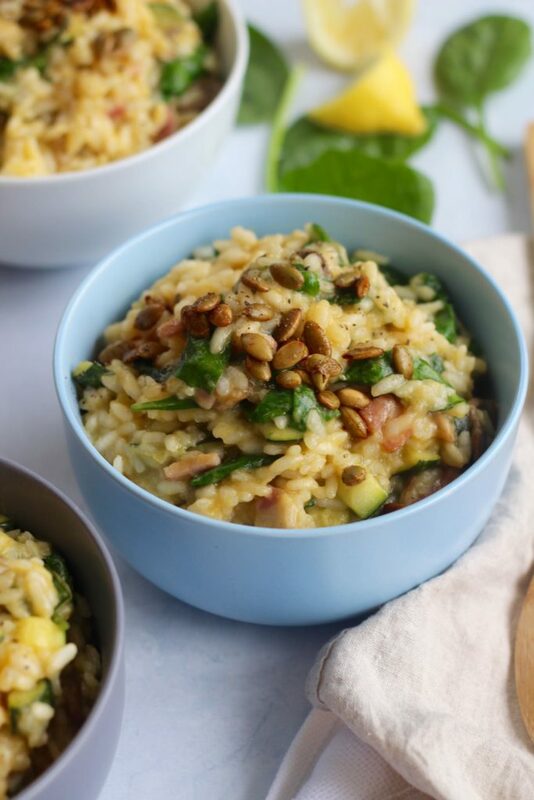 Pumpkin and bacon risotto PLUS Celebrate Health giveaway! 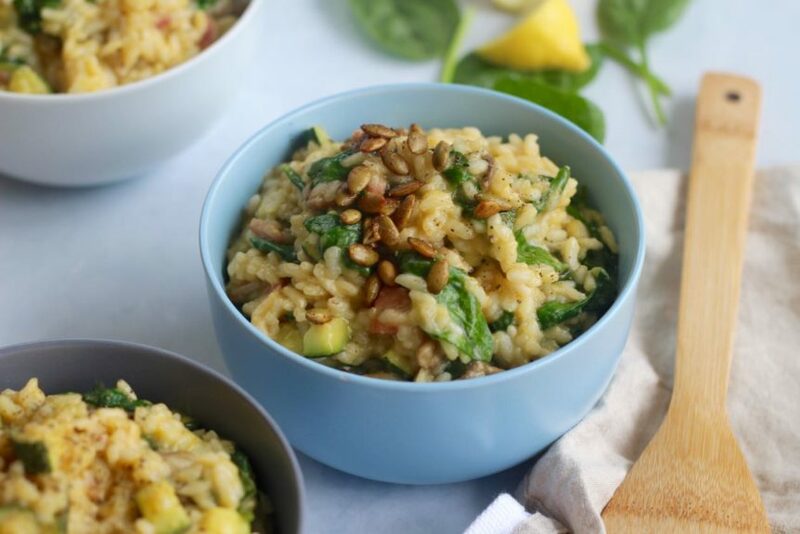 Pumpkin and bacon risotto recipe PLUS Celebrate Health giveaway! Bet that caught your attention? Caught ours too! 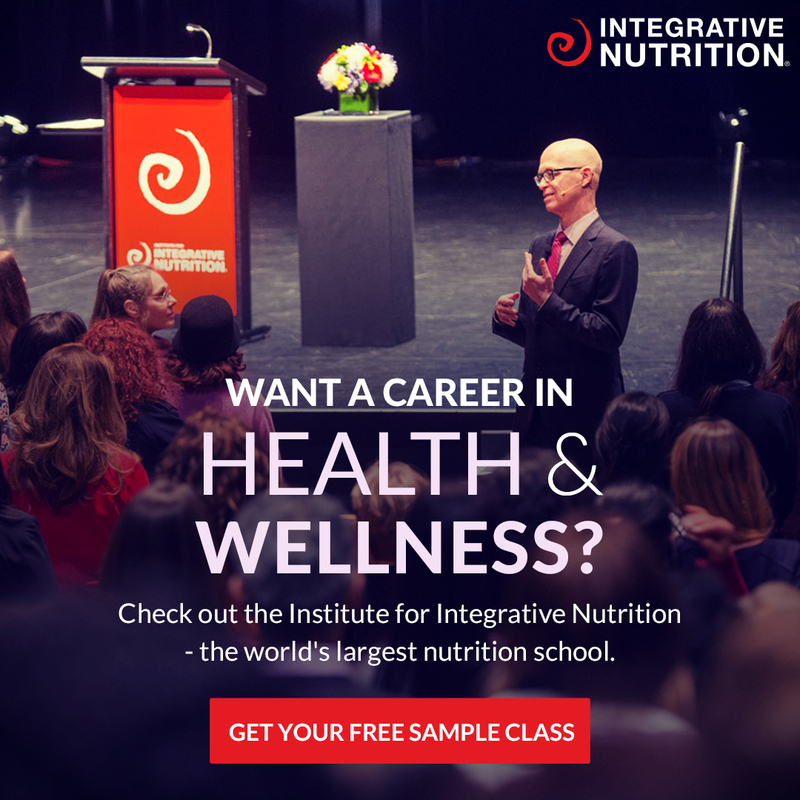 This post is thanks to our blog partner, Celebrate Health. We’re road testing their products and will show how we’re using (and enjoying) them… Merrymaker style! Oh wow, are we excited about this pumpkin and bacon risotto recipe and epic giveaway! We don’t even need to talk about the recipe with a combo like pumpkin and bacon. OMG YUM! Seriously, pumpkin and bacon are a winning food combo! Together they make everything better. Salads, soups, breakfasts and most definitely risottos! This week we’re bringing you another super awesome collab with Celebrate Health. Oh how we love them. They make healthy living that much quicker and easier. Perfect for mega busy people or for those days when the last thing you feel like doing is cooking from scratch. Yes, we all have those days and no… this does not make you a bad human. OK! You = amazing and magical and lovely! 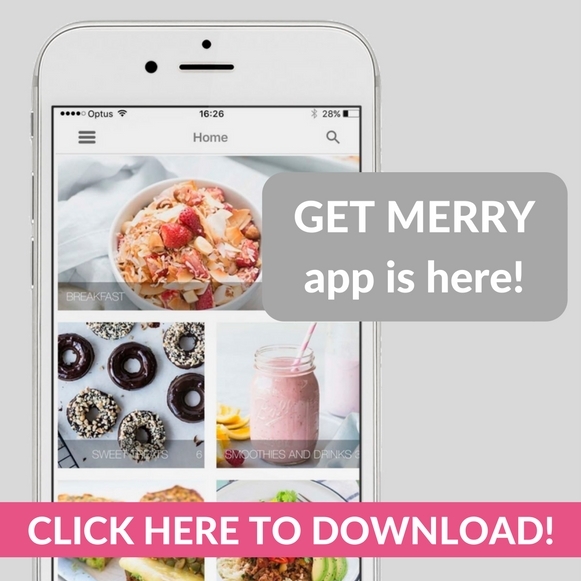 THIS MONTH’S MERRY PROMO CODE! Head over to the Celebrate Health store and use code: CELEBRATEHEALTH20 to get 20% off everything! Valid from 27 March – 27 April 2017. Not going to lie, we’re pretty proud of this little pumpkin and bacon risotto recipe. 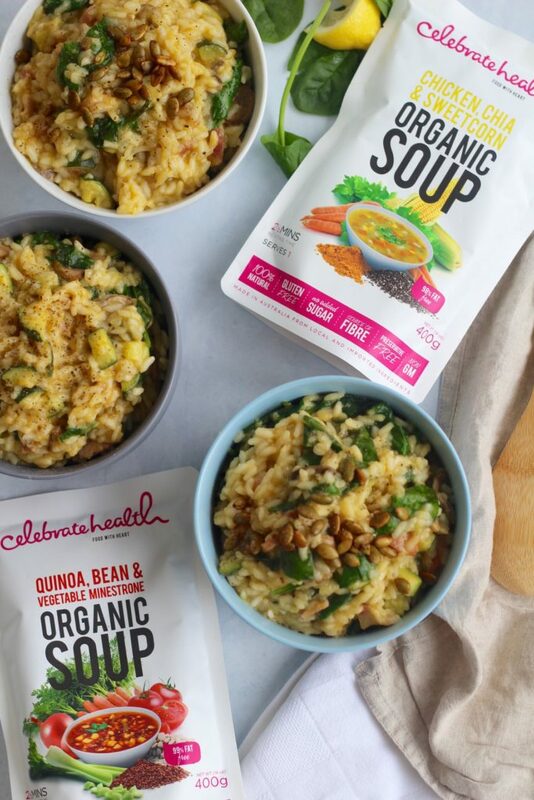 We actually used the Celebrate Health ready to eat soups for this pumpkin and bacon risotto. Yes, the soups alone are epic (hello perfect lunch times or post yoga din dins!) but with a few extra steps you can create an EPIC dinner to impress your whole crew (aka family, friends, household or just you). We used the pumpkin and sweet potato soup to make this risotto. It saved us so much time, because no pumpkin cutting or cooking was required. Not sure about you guys but pumpkin cutting is so bloody hard, 100% worth it but the struggle is real! Ok, now what you really want to know about is our epic Celebrate Health giveaway. Are we right or are we right? Celebrate Health / Merrymaker Instagram Giveaway! You can win a totally EPIC $200 gift pack full of a bunch of Celebrate Health awesomeness to stock your pantry! 1. Re-post any Celebrate Health image to your personal Instagram account. 2. Tag @celebratehealth in your post and use the hashtag #merrycelebrate. 3. Follow @celebratehealth on Instagram. BOOM THAT’S IT! The main thing is… you gotta be in it to win it! The giveaway will open on Monday 27 March and close midnight Friday 31 March (AEST). Entries will be judged on the fun factor and creative factor. So… have fun! Get Merry and Celebrate (Health) a little (or a lot!). This giveaway is only open to people is Australia. In a large saucepan on medium-high heat, melt the butter and olive oil together. Add the bacon and fry until a little crispy. Turn the heat down to medium and add the rice. Stir until the rice has just coloured. Add the coconut milk and continue to stir until the milk has absorbed. Add the 1 1/2 cups soup (or stock) and continue to stir until absorbed. Add the zucchinis and mushrooms, continue to stir. Now gradually add 1/2 a cup of veggie stock at a time, continuing to stir and adding another 1/2 cup once the liquid absorbs. All up you will add 10 x 1/2 cups of veggie stock and the rice will absorb the liquid, expand and become super fluffy. This will take a good 20 minutes of slow, continuous stirring and adding of stock. Your arm will get a work out (#winwin!). Once cooked, take off the heat and stir through the baby spinach. Serve with pumpkin seeds, lemon, salt and pepper! Don't let the risotto sit, it's all in the stir, stir, stir action that makes risotto fluffy and absorbed delishness.